JPMorgan Chase announced Friday that it will open a new campus for financial technology, or "fintech," in Silicon Valley in 2020, staffed by more than 1 000 workers. The New York-based financial giant, the biggest US bank by assets, will build the new campus in Palo Alto, which is also home to Stanford University. It announced a location in the tech-rich city for a project that is expected to break ground in 2019. "This is an important market for us and we're looking forward to expanding our footprint and attracting more of the area's top talent," said Bill Wallace, head of digital, consumer and community banking at JPMorgan. 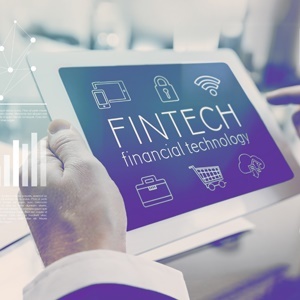 The move comes as banks such as Bank of America and Wells Fargo pare their retail branch networks as more consumers shift to digital banking, particularly through mobile phones. In 2017, JPMorgan also acquired WePay, a tech company that provides payment processing to software platforms. The 275 workers from WePay will be among the staff at the new Palo Alto venue, the company said. In August, JPMorgan announced a push into online investing, offering 100 free trades and low fees in a bid to attract more millennial customers. CEO Jamie Dimon has dismissed the bitcoin currency as a "fraud" but touted other leading fintech pursuits as potentially transformative for global finance. The new office will feature "a modern workplace design and amenities that matter most to employees and state-of-the-art technology to increase collaboration," the company said.